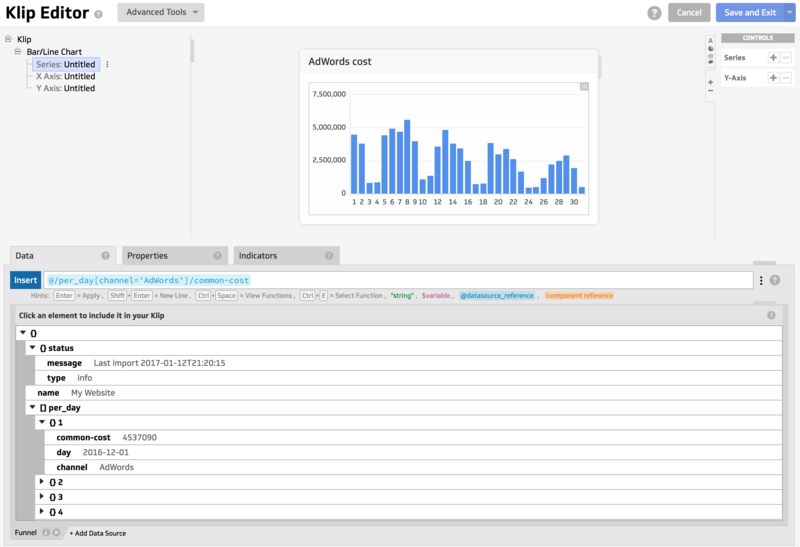 If you're using Funnel's API it's easy to feed your Funnel data into Klipfolio. First, make sure you have a token for the Funnel API. You can find it in the API section under Export in the left hand navigation bar. If you don't have access to the API section in Funnel, please reach out to support@funnel.io and we'll be happy to get you started. In Klipfolio, create a new Data Source and choose the REST/URL connector. 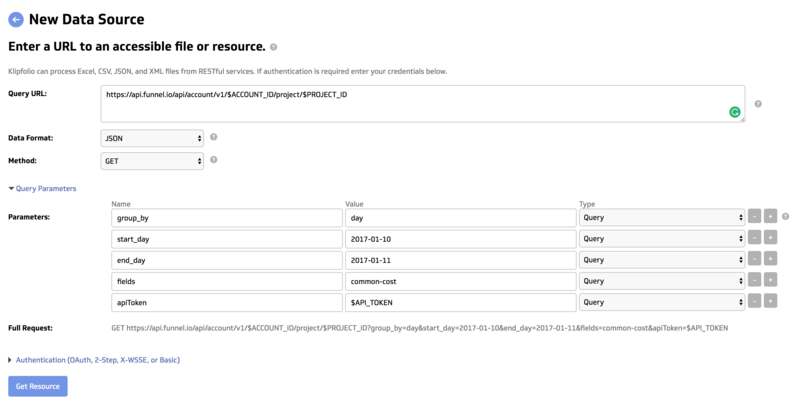 Enter the Funnel API URL as Query URL and make sure the Data Format is set to JSON and the Method is set to Get. Make sure each of the Parameters are set to type Query and assign Values to fetch the data you're interested in. After configuring your new Data Source, hit Get Resource to see that you're getting the data you're after, and finish it by hitting Done.